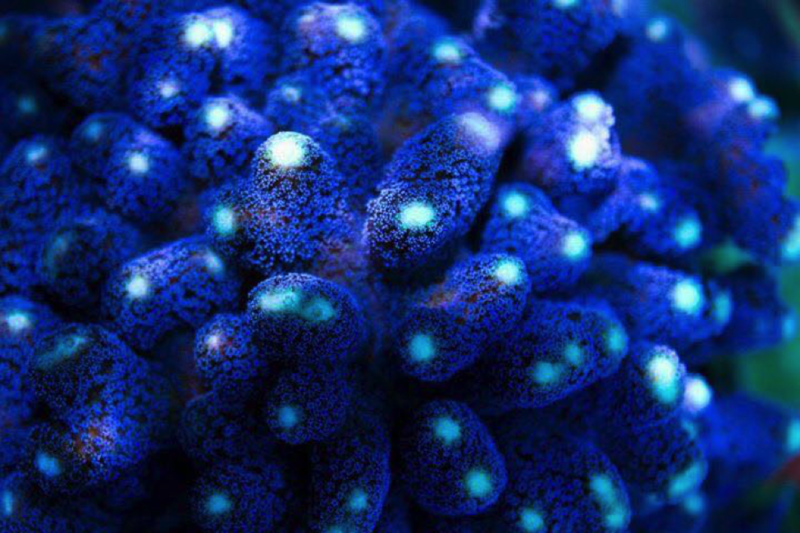 First, I want to say that I am completely honored be featured as this month’s Reef2Reef spotlight. I have looked at the tanks featured here and I never thought I would see my tank featured. 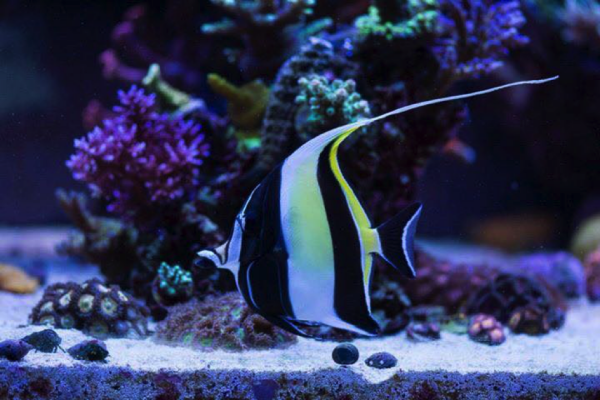 My journey to the saltwater world began after spending years of traveling the oceans. I am a U.S. Navy veteran. Being in the Navy gave me the opportunity to travel the oceans, explore many different countries, and admire the underwater world. Going back 20 years or so, I started with a FOWLR 125-gal. system. 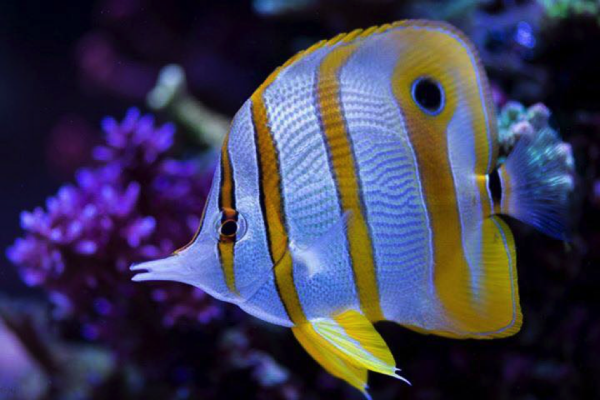 I kept everything from angels to butterflies to tangs. I was hooked. At least, I thought I was. 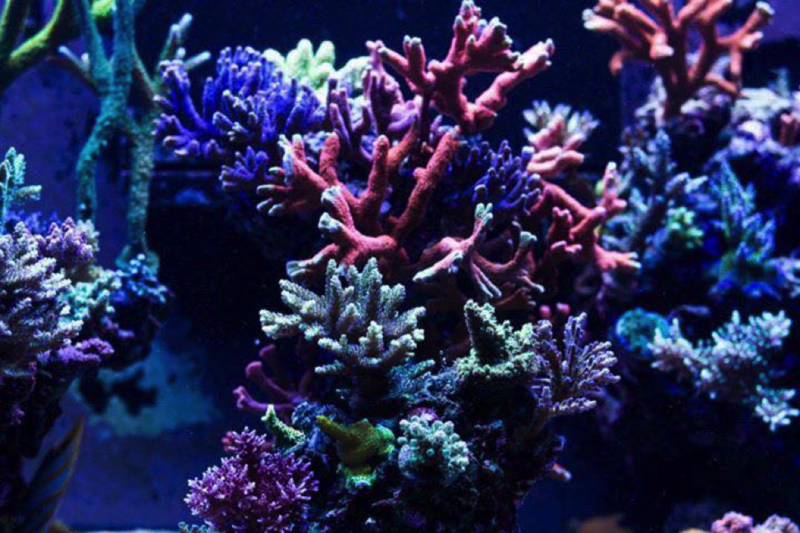 Fast forward to the past few years, I changed from the FOWLR to the wonderful world of “corals.” The SPS bug bit me rather hard and presented a challenge that I accepted head on. 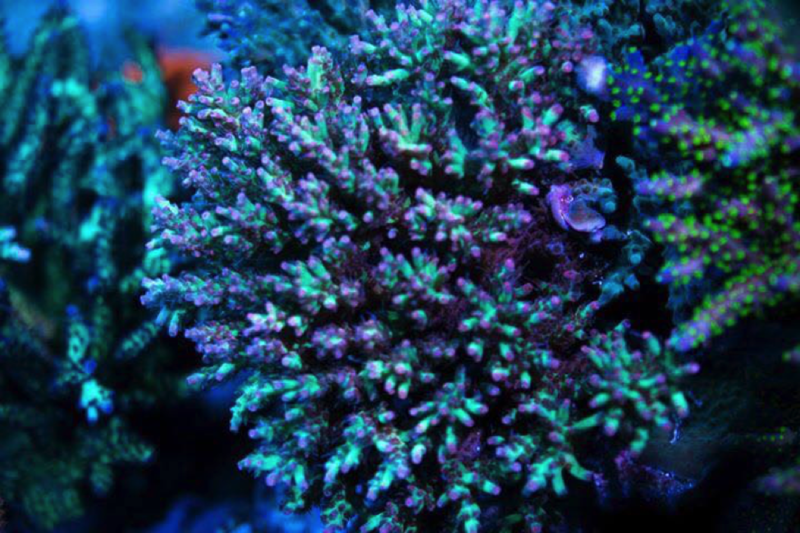 As I learned what it takes to make SPS corals thrive, I faced many ups and downs. Now, I successfully maintain a 120-gal. and 240-gal. reefs. 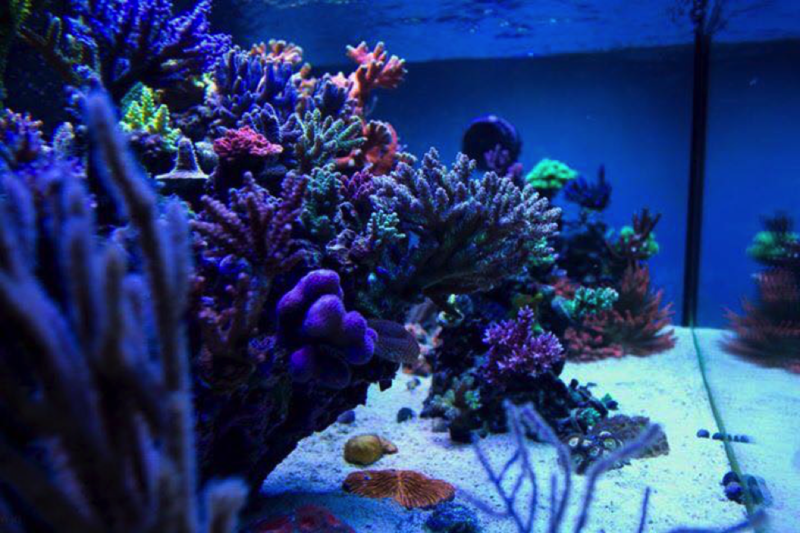 My days are complete when I’m able to come home and enjoy this beautiful underwater world with my family. My three children always love to give an extra hand when it comes to little chores to the reef, except when it’s skimmer duty…then everyone disappears. Joe Garza’s 120-gal. 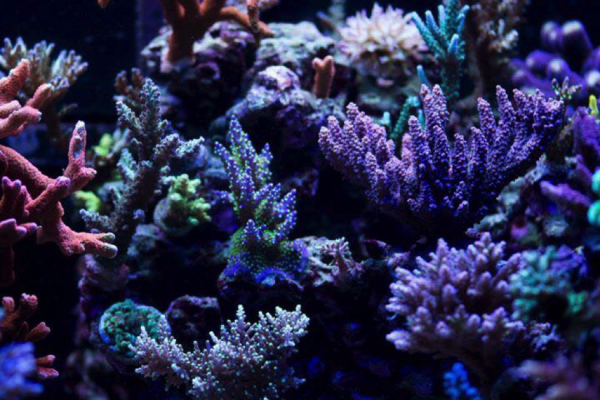 SPS-dominated reef. Display tank: 120-gal. custom glass tank with internal overflow box – 48x28x22 in. Sump: Acrylic 18x40x16 in. with three chambers; volume is 50 gal. with refugium and Chaetomorpha. Water Circulation: Vortech MP-40 and MP-10, one each. I use several modes from reef crest to lagoon to achieve the flow that I feel is optimal for my tank. My actinic come on first at 8:30 a.m. Next, the main lights come on at 9:30 a.m. and remain on until 7:30 p.m. Finally, the actinic go off at 9:30 p.m. 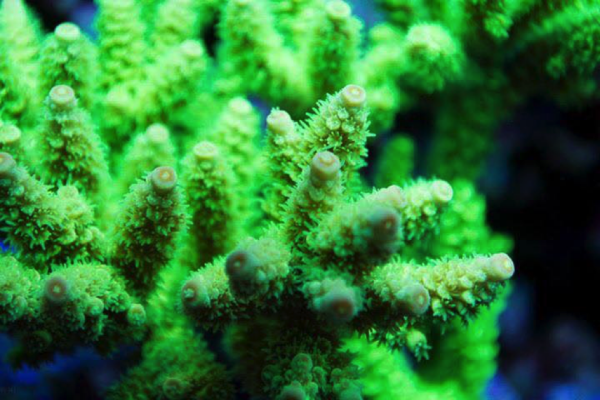 Perform water changes every two weeks. 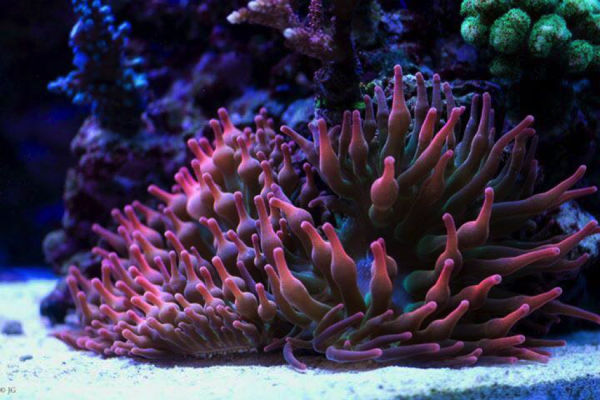 Following are several photos of Joe Garza’s corals. I feed a large array of food from frozen to pellets. I typically mix this up daily. I feed fish twice a day. Corals get fed twice a week after lights go out. The most important thing I have learned about keeping these delicate creatures is stability! 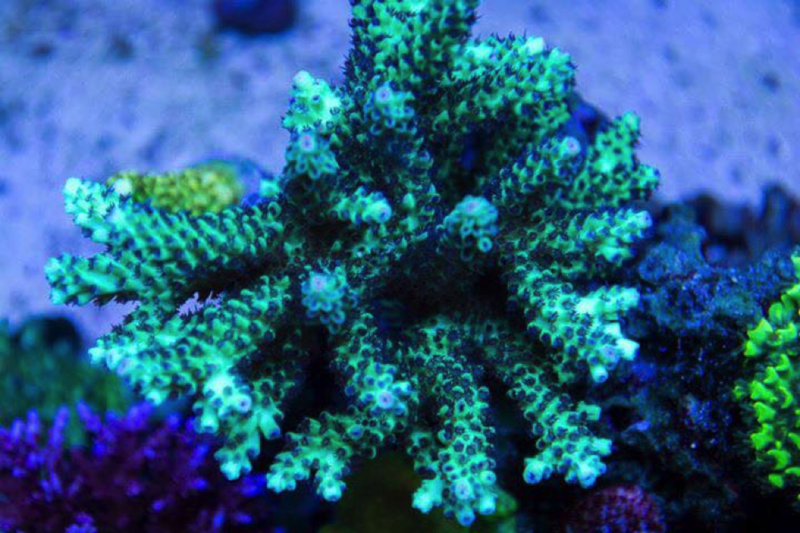 Maintaining excellent water conditions while keeping the fish healthy and corals fed can be a balancing act. This hobby is very rewarding when taking it slow and not constantly chasing parameters all over the place. 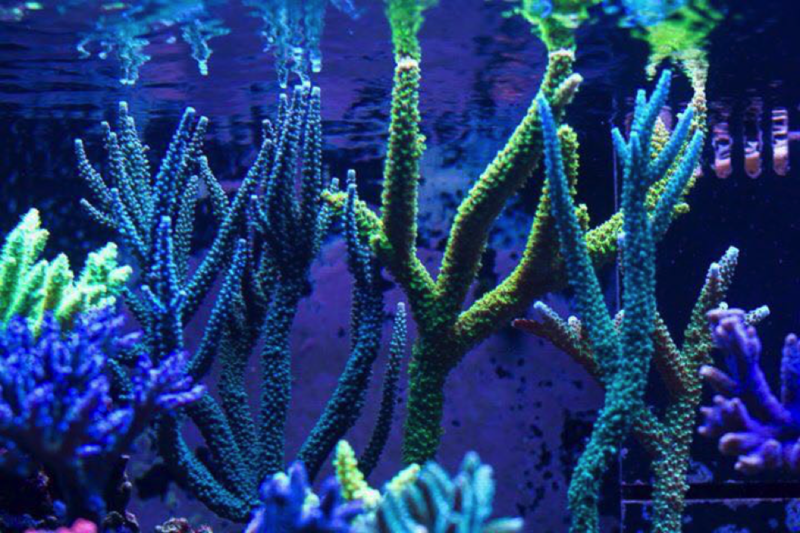 I share my knowledge and keys to success with my local reefers. In doing this, I watch many of them have great success. 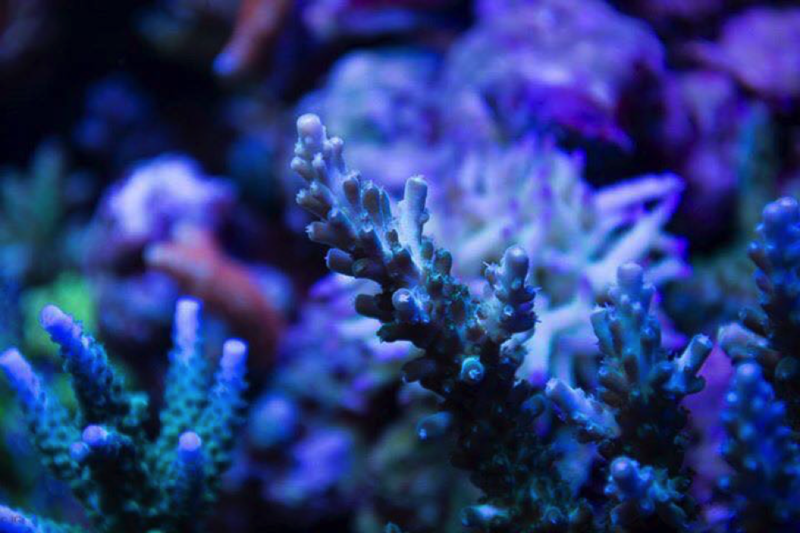 I would like to thank many people who have inspired me, given me knowledge, and have helped with my reef tanks! 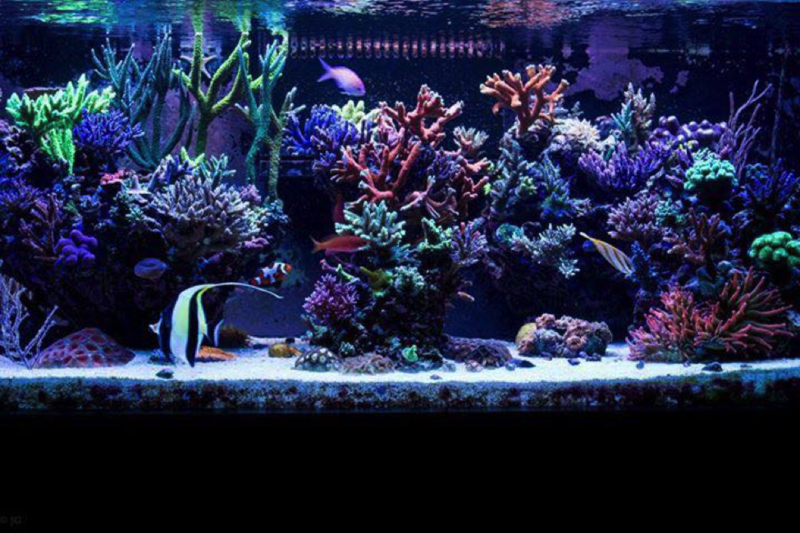 These people include Cliff, Tom, Dale, Scott, Kevin, Rich, Paul, Katie, Living Art Aquarium and Brian & Judy (Best Fish). Most important is my family and their support of my deep passion with this hobby. 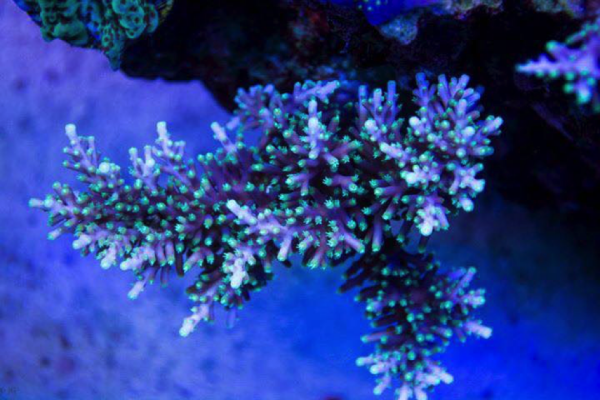 I feel very fortunate that I have been able give back to our reefing community.